P & P CARS P & P Cars is owned by Peter Thornton & Peter Cunningham, and started trading in September 2006 with a mission statement to provide a high quality service to all our customers. 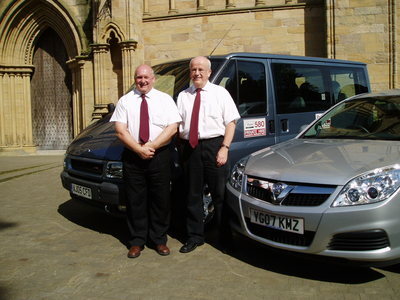 We provide polite and professional uniformed male and female drivers who have indepth local knowledge about the area and its attractions. We offer a 24 hour service,seven days a week,and we cover all distances, from local trips to nationwide journeys,to airports or railway stations. 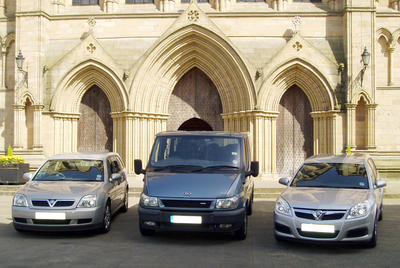 We provide a courier service on request,as well as NYCC school contracts. 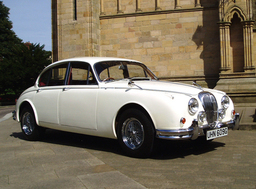 P & P Cars welcome business/ commercial accounts,and have credit card facilities for payment. We also have a 1968 Daimler for Weddings, and Special Occasions.